The Song Dynasty (pronounced Soong) ranks up there with the Tang Dynasty and the Han Dynasty as one of the great dynasties. Fifty years after the official end of the Tang Dynasty, an imperial army re-unified China and established the Song dynasty. The Song dynasty was formed from one of the five dynasties after the Tang Dynasty. A time of remarkable advances in technology, culture, and economics, the Song dynasty, despite its political failures, basically set the stage for the rest of the imperial era. The most important development during the Song dynasty was that agricultural technology, aided by the importation of a fast-growing Vietnamese strain of rice and the invention of the printing press, developed to the point where the food-supply system was so efficient that, for the most part, there was no need to develop it further. There was enough food for everyone, more or less, the system worked, and it became self-sustaining. Because it worked, there was no incentive to improve it; the system thus remained basically unchanged from the Song dynasty up until the twentieth century. In fact, many rice farmers in the Chinese interior and in less-developed regions of south-east Asia are, for the most part, still using Song-era farming techniques. The efficiency of the system not only made it economically self-sustaining, but also re-enforced the existing social structure. There were many reforms in the Song dynasty to make the population content. The towns were very important. Socials institutions like hospitals and homes for the aged were formed. 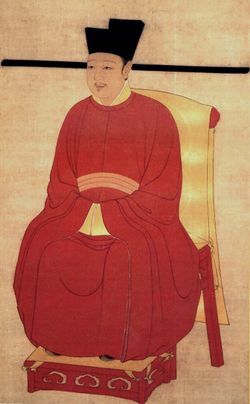 Consequently, society and economics were largely static from the Song dynasty until the collapse of the dynastic system in the twentieth century. This is important because one of the factors behind the Industrial Revolution in Europe was that they didn't have enough people to work the fields. There was an incentive to create better technology in Europe; there was no need in China. China actually had a surplus of human labor. The surplus of human labor led to one of the most important inventions, the gun-powder, because it was the base for the first colts and so it was also important for Europe. The Chinese used the gun-powder to shoot with arrows. Another weapon invented was the throwing machine. Because of the trade the Chinese population became more mobile. In the Song dynasty China was the biggest naval power of the world and the Chinese ships were better developed than the European. While the Song dynasty was a time of great advances, politically and militarily, the Song dynasty was a failure. The northern half of China was conquered by barbarians, forcing the dynasty to abandon a northern capital in the early 1100's. Then a hundred and fifty years later, the Mongols, fresh from conquering everything between Manchuria and Austria, invaded and occupied China. © 2005 ChinatownConnection.com, Houston Chinatown Web Portal. 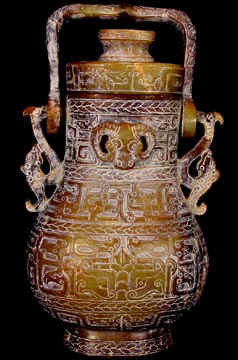 Song Dynasty. All Rights Reserved.